I made this dinosaur themed muffin tin lunch for my nephew who is almost 5 years old. He loved it! 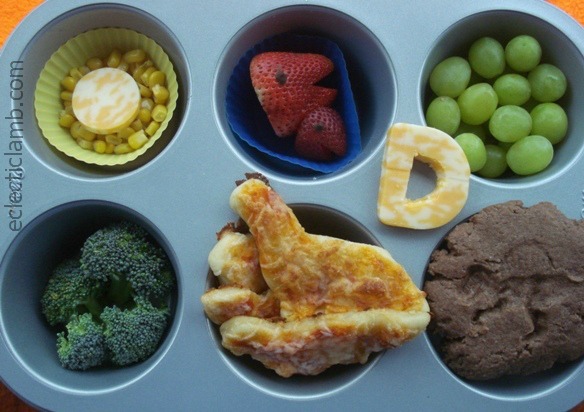 This entry was posted in Bento / Cute Food and tagged muffin tin, vegetarian. Bookmark the permalink. Thank you Winnie! I think that the most “work” comes with thinking of the ideas, it is play to make the meal. This is incredibly creative, adorable, and delicious! This is so adorable! Love this MTM! Wow amazing :).. So creative!